Nick Miles is a wealth manager with Rutledge Financial Partners, LLC and a registered representative with LPL Financial. Nick is passionate about helping clients make smart decisions with their money and a strong advocate for financial literacy programs in underserved markets. Nicks clientele consist of large number of professions ranging from high earning executives to blue collar workers. He operates under the belief that every individual deserves to receive financial advice. After growing up in the Alamance county public school system, Nick attended Ball State University on a football scholarship. Throughout his tenure at Ball State, Nick received numerous accolades both athletically and academically. 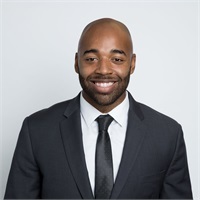 After 4 years of student athletics, he graduated from the Miller College of Business and started building his financial advising practice with Principal Financial Group in Indianapolis, Indiana. After 3 years with Principal, Nick decided it was best for him and his clients to work with an independent firm giving him the opportunity to put the client in front of any particular company’s priorities. Nick’s fiancé, Maya, will soon be moving to North Carolina and they will be settling in the Greensboro/Winston Salem area. Nick enjoys spending time with his family, watching sports, especially football, and traveling.